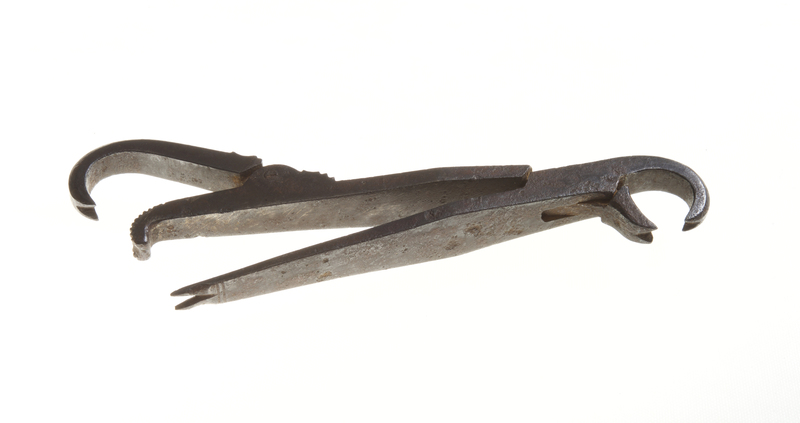 The 17th-century compound extractor had features of the forceps, pelican and elevator all in one, creating a multifunctional device and eliminating the need to transport all three instruments individually. Circa 1620, the Mayflower surgeon’s case is thought to have included a compound extracting instrument illustrated here. This instrument (A56.1) from the Ward Museum collection may be a replica of the one used by the Mayflower surgeon. 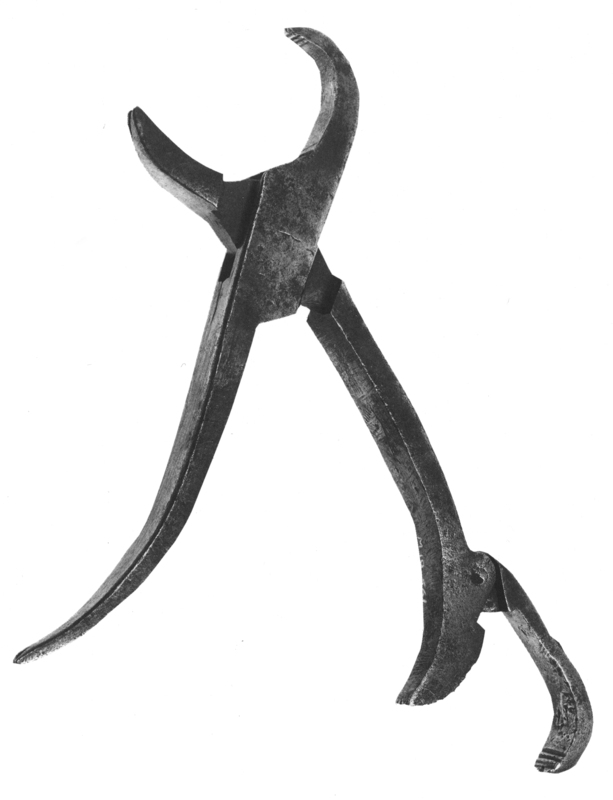 Colonial dentists used similar extractors in the 1700s. Courtesy of Abrams Publishing, New York, NY — Ring, 1985.